As part of a major expansion in its programs, the Department of Communication at the University of Ottawa invites applications for a tenure-track position. The candidate is expected to conduct research in any field of communication scholarship that draws upon new and emerging modes of data collection and analysis applied to the study of communication. Position expected to start July 1, 2019, or January 1, 2020. Title of the position: Assistant professor level, but higher ranks will be considered under exceptional circumstances. Duties: The functions of a member of the academic staff include, in varying proportions: a) teaching activities; b) scholarly activities revealed by research, artistic or literary creation, or professional work; c) academic service activities, d) supervision of graduate students. •	The candidate will be expected to contribute to the expansion of quantitative methods courses to reflect practices and innovations in quantitative research (including digital social research and computational approaches to communication studies, linear modeling, social network analysis, mixed methods, multidisciplinary training, and web analytics, among other relevant topics). •	The candidate will be expected to implement a research program in communication that will lead to scholarly publications and which has the potential of attracting, developing, and retaining excellent trainees, students, and future researchers in addition to external funding, to supervise these trainees in writing theses or research papers, to establish/join a research lab, and to participate in the administrative duties of the department. •	The successful candidate will be expected to teach a variety of undergraduate and graduate courses in quantitative research methods and statistics in English and in French. A critical aspect of these expectations will be the provision of teaching and mentoring to trainees at the University. Wage: Salary scale for an Assistant Professor starts at $85,280. Benefits package: The University of Ottawa provides a complete benefits package which includes long term disability, basic group life insurance, supplementary health insurance, University of Ottawa Pension Plan and optional life insurance, as well as relocation expenses. Contact information: Dr. Jenepher Lennox Terrion, Faculty of Arts, Ottawa, ON K1N 6N5. cmndir@uottawa.ca. 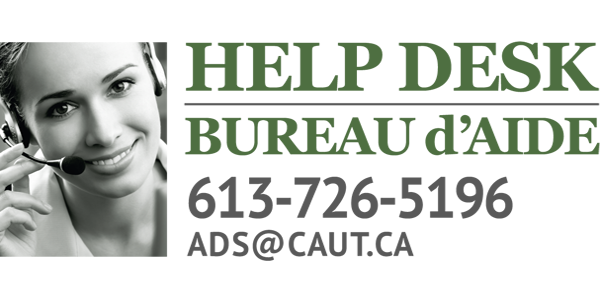 Telephone: 613-562-5800 (5238). Education : Ph.D. or equivalent in Communication or in a closely related field. •	Candidates must have an excellent record of research and peer-reviewed publications in an area of communication research, which is open, but which complements the existing strengths of the department. •	Familiarity with digital data collection and analysis tools or approaches such as Google analytics, social media APIs, social media and network analysis, and other similar approaches is an asset. •	Candidates must have extensive training in quantitative methods and statistics in the study of communication. •	Active knowledge of French and English will be required by tenure but is necessary for teaching in both languages from the first year. •	Evidence of excellence in teaching in communication or a related discipline, particularly quantitative research methodologies and statistics, is required. •	A commitment to participate in the administrative activities of the department is required. •	Excellent communication and interpersonal skills are required. •	Experience attracting and supervising graduate students and postdoctoral fellows (taking into account different practices in the relevant field or discipline) is an asset. Short-listed candidates will be invited to do a research presentation and a teaching demonstration in front of professors and students. Equity, Diversity, and Inclusion: The University of Ottawa is an equal opportunity employer and strongly encourages applications from women, Indigenous peoples, persons with disabilities and members of visible minorities, as defined in the Employment Equity Act. To further contribute to the diversification of ideas and scholarship, the University of Ottawa especially welcomes applications from women, racialized persons, Indigenous peoples, persons with disabilities, as well as persons of all sexual orientations and genders. Further, the University of Ottawa appreciates the potential impact that career interruptions and personal circumstances can have on an applicant’s record of research achievement. We encourage applicants to explain the impact of any such interruption(s) in their submission. Measures will be taken to ensure that these leaves will be taken into careful consideration during the evaluation process. If candidates require any particular adaptive measures during the selection process, please contact the Office of the Associate Vice-President, Faculty Affairs at 613-562-5958. Any information you send will be handled respectfully and in complete confidence. Finally, all qualified candidates are invited to apply; however, preference will be given to Canadian citizens and permanent residents.